Little did we realise what a hard task that would prove to be! How can you choose between modern supercars, classic sports cars and little gems, running all the way from under £10,000 to over a quarter of a million? It took ages to decide but in the end, we decided to turn the spotlight on a car that's both ordinary and exotic, an appreciating asset equally on display at Goodwood or racing round Brands Hatch. It's a 1963 Mk1 Lotus Cortina. In the early sixties, while John Cooper was souping up Minis, Ford entered into an agreement with Colin Chapman of Lotus to produce 1,000 Cortinas for Group 2 homologation purposes. Lotus fitted twin-cam engines, close-ratio gearboxes, diaphragm-spring clutches and race suspension and brakes to two-door body shells delivered by Ford. The shells benefitted from lightweight doors, boot and bonnet. The Lotus Cortinas astounded the motoring press. They received excellent reviews and proved very popular, the light weight amazing people as much as the power and handling. 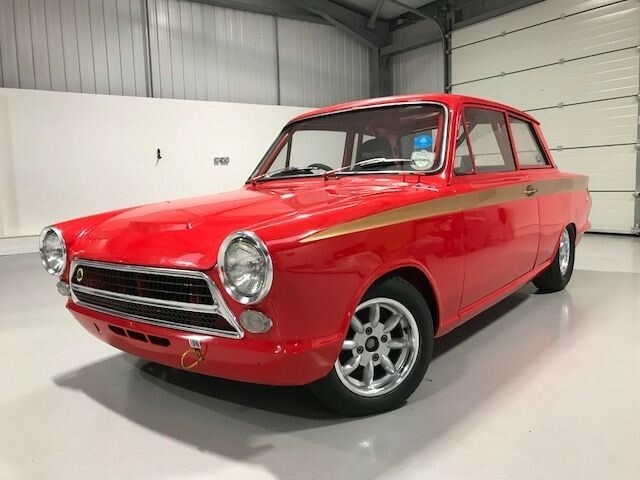 It's believed that over 3,000 Mk1s were made in the end but, as many were seriously raced, they either didn't survive or underwent so many modifications through the years as to be unrecognisable. That makes this genuine 1963 car very rare. It was used in the UK until 1990 and in 1981 underwent a complete strip-down and rebuild as a race car. It has just been treated to another overhaul - a full nut and bolt restoration - built to race, with full FIA papers. This is a car that is 100% ready to go and win races. It's fantastic fun and on offer at only £79,950. If you're interested in this firecracker, or any other car in stock, do please come and visit. It's wise to call first though, as not all stock is on site at Penn.